Written and directed by Rian Johnson (Looper , The Brothers Bloom , Brick) and production designed by Rick Heinrichs (Fargo , The Big Lebowski , The Nightmare Before Christmas , Captain America: The First Avenger) , Star Wars: The Last Jedi , like every chapter before it, owes its visual language and fully imagined cinematic landscape to an incomparable art department: the Lucasfilm visualists. The Art of Star Wars: The Last Jedi explores their vision and illuminates their creative process in stunning detail. 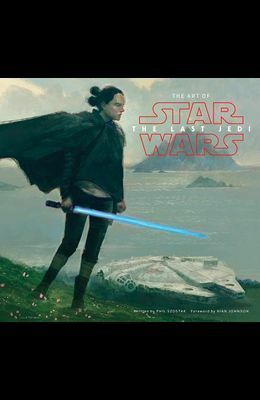 Featuring concept art, costume sketches, and storyboards, this book takes fans on a deep dive into the development of the fantastic worlds, characters, and creatures--both old and new--of The Last Jedi . Exclusive interviews with the filmmakers and with the Lucasfilm visualists provides a running commentary on this unforgettable art, and reveals the inspirations behind moviemaking magic at its finest.